A full day of markit meetings at LBF 2018 where producers met broadcasters, publishers, licensing companies & distributors to pitch IP. Brand owners and publishers met potential partners in this brand partnership market. Delegates came and developed their reach into licensing, retail, events and other fields in the most efficient and cost effective way. Macmillan Children’s Books, Magic Light Pictures, Natural History Museum, Oxford University Press, Science Museum, Spin Master, The Brand Director, V&A, Walker Books, Wonderbly. Access to pre-bookable one-to-one meetings. The CMC Exchange’s Meeting Mojo system profiles all attendees, puts all attendees in direct contact with each other, and structures the meeting schedule through the day. Your own table to meet attendees, plus lunch and refreshments. Access to CMC’s sessions in the Book Fair Children’s Hub on the same day. 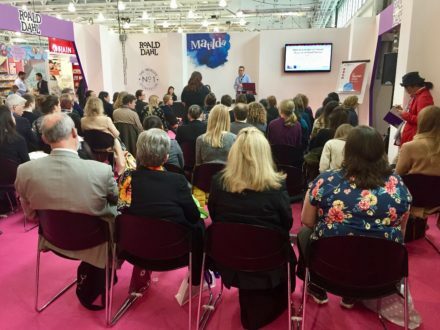 A free pass to The London Book Fair at Olympia 10 – 12 April 2018. Brand new for 2018 was a new name and a new Advisory Committee. 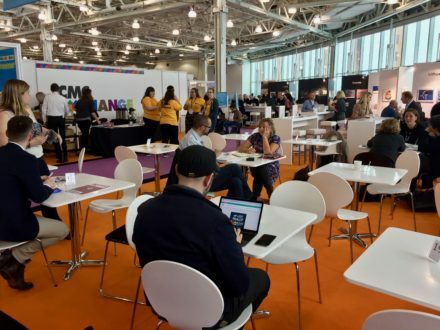 To reflect the constant changes in the publishing and broadcast industries we’ve changed our name from the CMC Rights Exchange to CMC Exchange @LBF. PLUS A bonus CMC session at 5.30 pm on Wednesday 11 April – in association with our partners at DIT. Understanding the Export Value of UK Media IP featured three top producers explaining how adapting UK publishing properties for television has helped their business internationally. The CMC Exchange @LBF is situated within the Children’s Zone at The London Book Fair at Olympia London in Kensington. Travel and venue information can be found on their website here. The CMC Exchange @LBF is curated by the Exchange @LBF Advisory Committee.